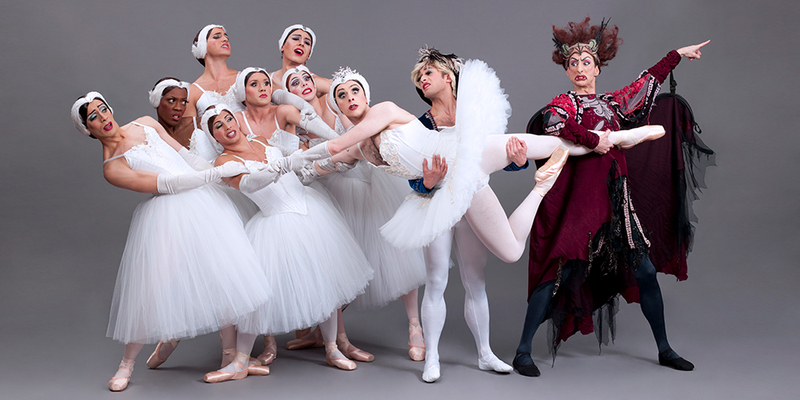 Summit Law Group poses with members of Les Ballets Trockadero on the Meany stage. Our 2016-17 Season ended on a spectacularly high note with the ever-popular Les Ballets Trocadero de Monte Carlo. Swans died in a flurry of feathers; one bored member of the corps de ballet munched on fruit during particularly lengthy pas de deux by the principal dancers; hairy chests peeked out from beneath spangled bodices and all the divas sported ridiculous names—all the fun and humor one expects from the Trocs was on full display. Yet, there was nothing funny about their dancing. When Long Zou (stage name: Nina Immobilashvili) jetéd across the stage or performed a miraculous number of perfect pirouettes as Esmeralda from the eponymous ballet, it was impossible to remember this was a man—what the audience saw was a delicate and highly accomplished ballerina. By the time the company performed Don Quixote, the ratio of comedy to perfectly executed dance had switched and there could be no doubt that these men in tights were the real deal. Fun as they are on stage, behind the scenes the guys are even more delightful. 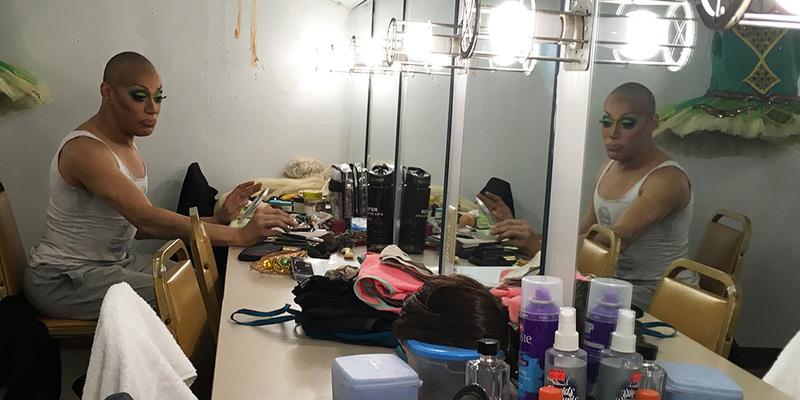 They had agreed to be an auction item at our 2016 gala, and the lucky bidder brought several friends to the dressing rooms in Meany Hall to sip mimosas and watch company member Robert Carter transform himself into Olga Supphozova before their very eyes. In addition to picking up some great beauty tips, our donors also got their most pressing questions answered. For example, those faux Russian names the dancers adopt are often passed on as one dancer retires from the company and another joins. However, a few of the names have been retired forever to honor company members who were particularly beloved. As new Trocs join, they have to learn how to do their own makeup through trial and error—they experiment on their own, seek advice from their colleagues, and often experience a major fail or two before they find their own style and the products that work for them. The makeup process is lengthy and there’s only time to do it once. Dancers often switch between female and male roles during the same performance, so while the clothes change, the makeup doesn’t—explaining why all those princes, pirates and kings look more like they’re in drag than the ballerinas do. If you didn’t see them this time, don’t worry—they’ll be back. In the meantime, many thanks to Summit Law Group for sponsoring this year’s performances.